LONDON - If yer name's not down, you ain't coming in - even if your name is Kate Moss and you're like the most famous face EVER! Bungling bouncers at Primal Scream's Screamadelica 20th anniversary gig refused to believe the model when she told them she was best buddies with frontman Bobby Gillespie, and she was left standing in the cold while they checked out her claims. A friend told us: "Kate was obviously mortified that she had to wait outside but she took it all in her stride. "She had a bit of a moan once she got in - mainly about being stuck outside in such cold weather." After the gig, Kate dragged her mates around the corner to the launch of Wyld Bar to cheer herself up at the show's afterparty. 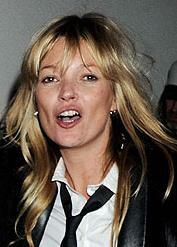 Grabbing three tequila and watermelon shots from a waitress, Kate headed for the dancefloor with other half Jamie Hince. He bopped a little awkwardly to Primal Scream's Loaded before plonking himself down in a VIP booth for a natter with Jade Jagger. He clearly couldn't keep up with his boozing bird. As he sat on the sidelines Kate necked shot after shot before popping out for a fag with hat designer Philip Treacy. And as the spirits moved her she threw some shapes with Vivienne Westwood's son Joseph Corré. The pair were later spotted locked in a deep and meaningful conversation outside the W Hotel bash before necking more tequilas and dancing til 3am. Poor old Jamie just stuck it out in his sulky corner. 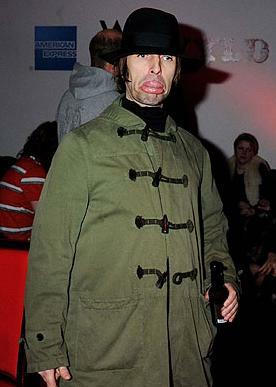 Meanwhile Liam Gallagher was hanging round with Bobby Gillespie: he hopes Liam achieves a huge success with his new venture Beady Eye. The singer is yet to hear the band's first track 'Bring The Light' but insists he is a big fan of the 'Songbird' singer and is confident he will make a rocking album with his bandmates. He said: "I love Liam and I love Noel and I wish them both the best of luck in their new musical explorations. I don't understand measuring people against what they did formerly. Either it rocks or it doesn't rock. I hope it's successful for Liam."